Quick, delicious, nutritious and addicting, kale chips are high in fiber and low in fat and calories making them the perfect snack. 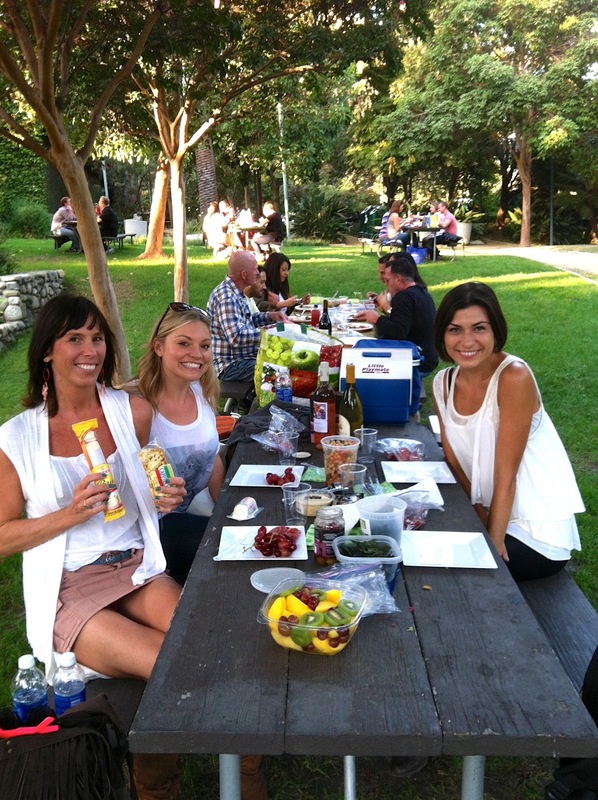 Some girlfriends and I went to go see Florence + The Machine at the Hollywood Bowl this past weekend and decided to pack a picnic dinner to enjoy before the show. I decided to make two kinds of kale chips and one of my summer (it's been in the 80's-90's here in LA, so yes, it's still summer here) favorites, a Chickpea Salad. 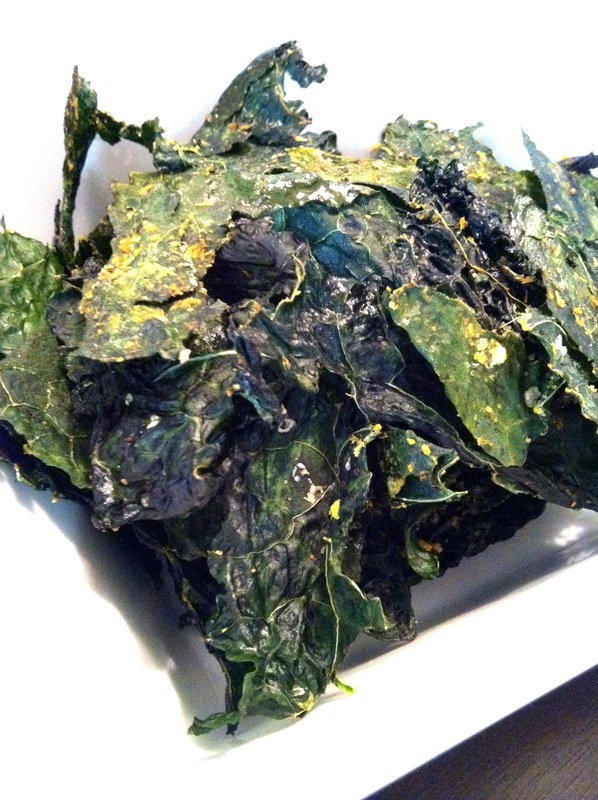 Wash and dry kale. 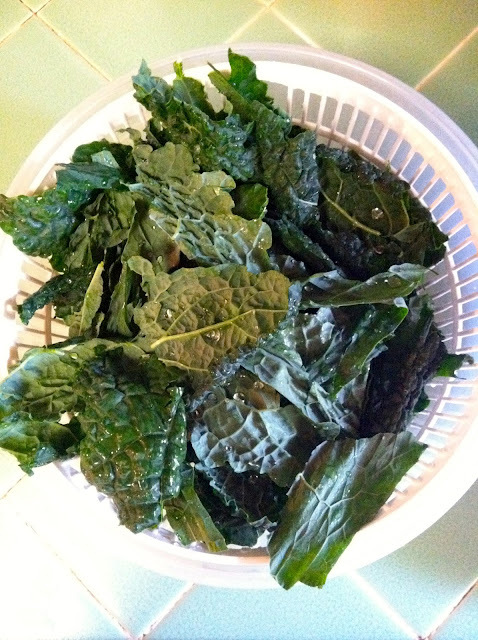 Remove any ribbing or hard parts and tear the kale into medium size pieces. 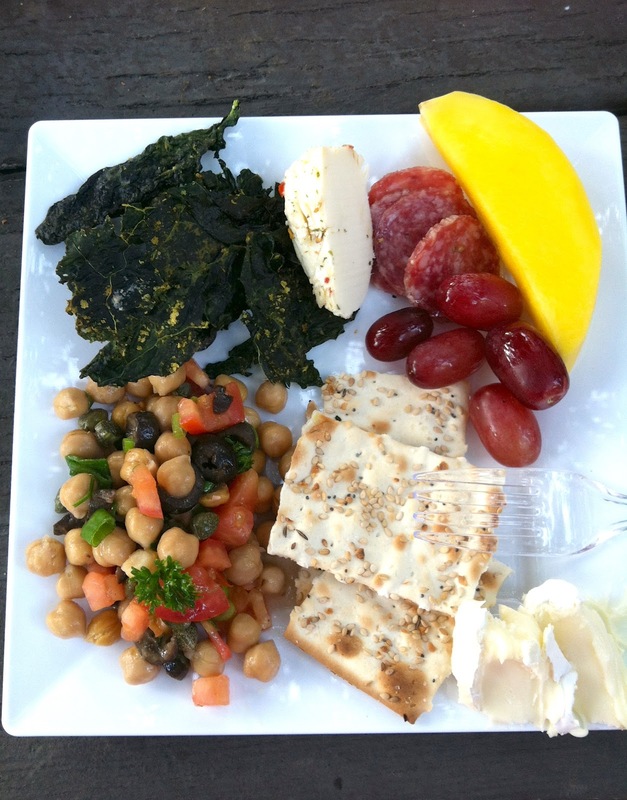 In a bowl, drizzle about 1tablespoon of olive oil over the kale and then using your hands, mix, making sure each piece of kale has a nice even coating of olive oil. Season with sea salt, pepper and smoked paprika (optional) and mix again. Next spread the kale out evenly in one layer onto a cookie sheet or baking pan lined with foil. 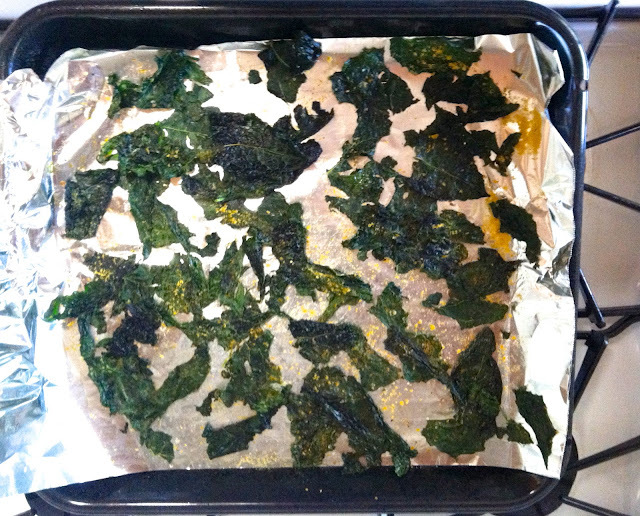 At this point, if you also want to season your kale chips with nutritional yeast flakes, go ahead and sprinkle that on before it goes in the oven. 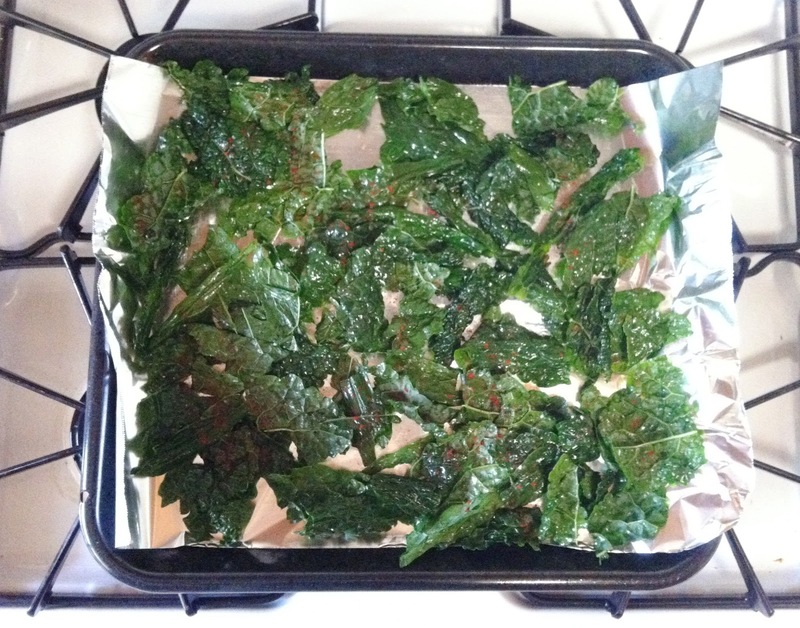 Bake at 300F for about 20 minutes or until kale chips are crispy. 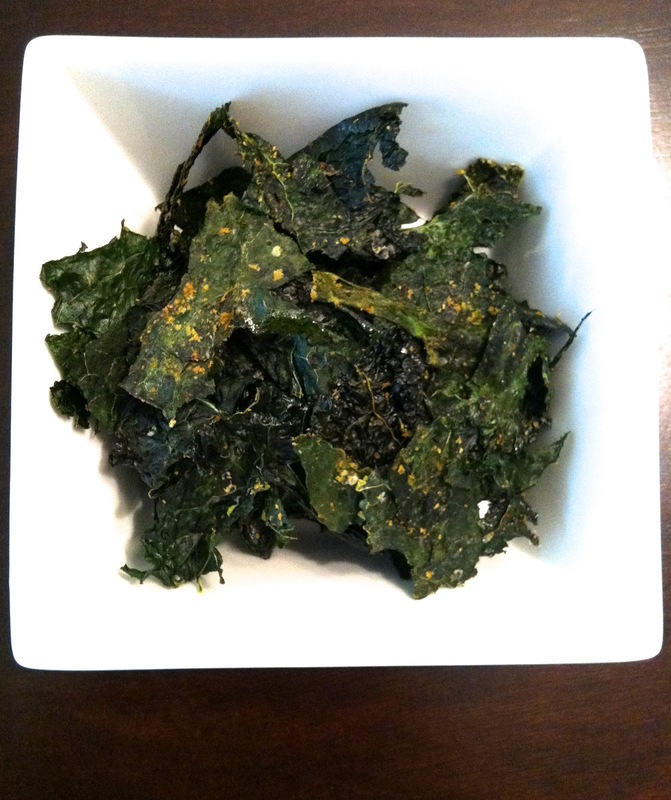 You'll see that they shrink down a decent amount, lay the kale chips out to cool and enjoy!